The past three days have been deeply trying for Empire actor, Jussie Smollett, to say the least. After being brutally attacked by racists early Tuesday (January 29, 2019) morning, an ongoing investigation has resulted in several discoveries, but still no suspects apprehended. Now, Jussies five siblings and Moms have decided to address the violent attack, as well as what they plan on doing about it going forward. FYI: Their Mom was an activist and a member of The Black Panther Party back in the day. So neither she, nor her kids, will simply take this violent racist/homophobic attack against her baby lying down. "Jussie and Jurnee still count their mother, Janet Smollett, as their only acting coach. An African-American from New Orleans, Ms. Smollett met their father, Joel Smollett Sr., a Russian-Polish Jew, in the Bay Area, where they campaigned for civil rights. My mom was in the movement with Bobby Seale and Huey Newton, and one of her first mentors was Julian Bond, Mr. Smollett said of the Black Panther founders and the civil rights leader. 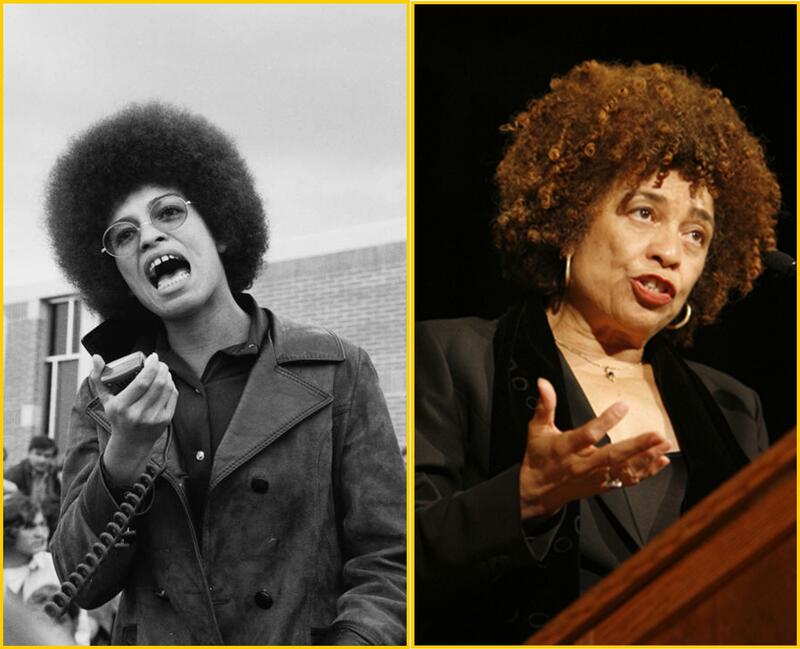 To this day, Angela Davis is one of her dearest friends. Weve spent Mothers Day with Angela...."
To this day, Angela Davis is one of her dearest friends. Weve spent Mothers Day with Angela...."
Angela Yvonne Davis is a tenured professor in the History of Consciousness program at the University of California - Santa Cruz. A former member of the Black Panther Party, she is currently a University Professor, one of only seven in the entire California University system, which entitles her to a six-figure salary and a research assistant. This income is supplemented by speaking fees ranging from $10,000 to $20,000 per appearance on college campuses, where she is an icon of radical faculty, administrators, and students. Davis has also taught at UCLA and the State University of New York at Stony Brook. and one of her first mentors was Julian Bond, Mr. Smollett said of the Black Panther founders and the civil rights leader. 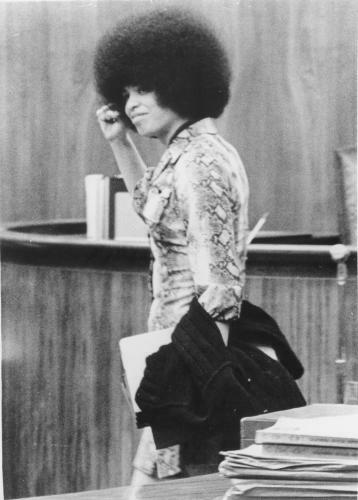 "In 1970 Davis was implicated by more than 20 witnesses in a plot to free her imprisoned lover, fellow Black Panther George Jackson, by hijacking a Marin County, California courtroom and taking hostage the judge, the prosecuting assistant district attorney, and two jurors. In an ensuing gun battle outside the court building, Judge Harold Haleys head was blown off by a sawed-off shotgun owned by Ms. Davis. Two months later, Davis was arrested by the FBI in New York City." Below are the names and photos of 35 Police Officers who were murdered by the Black Panthers and the subsequent Black Liberation Army in the 60s, 70s and 80s [click link for list and details]. The Black Liberation Army was an organization that grew out of the Black Panther Party, composed of former Black Panther Party members, operating from about 1971-1980. Another two police officers on the list were murdered by the Weather Underground, a domestic terrorist group with ties to the Black Liberation Army. Despite this readily available information, today the internet was full of articles criticizing those who were upset by Beyonces Super Bowl Halftime performance, and questioning how anyone could be upset over a woman affirming her blackness. Their analysis couldnt have been more off. We have no issues with someone affirming their blackness or any other identity they want to affirm. We do take issue when people pay homage to a group that used terrorism and violence to promote racism and revolutionary socialism  a group that murdered dozens of police officers in cold blood. 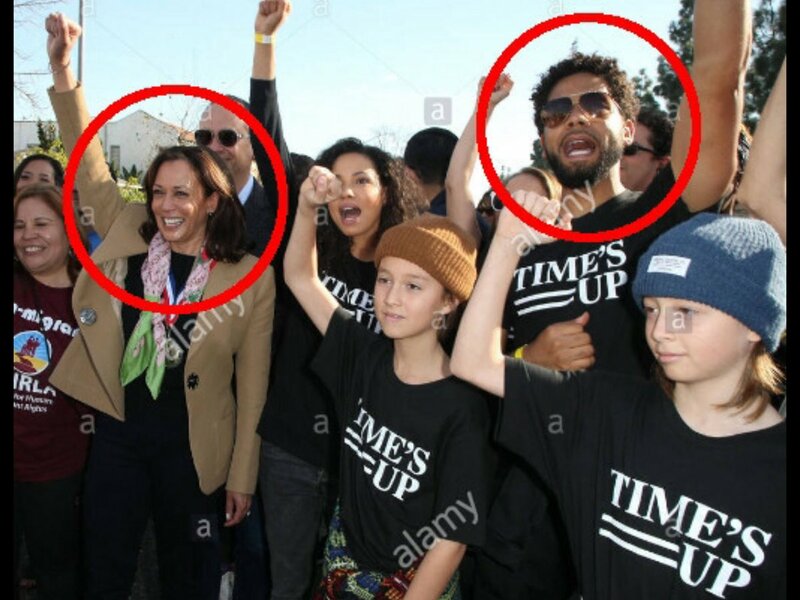 Smollet and his family are real close to Kamala Harris. Juicy Fruit has plenty of folks who love him. Plenty. So he’s carrying on the family tradition of being a liar and a bigot? 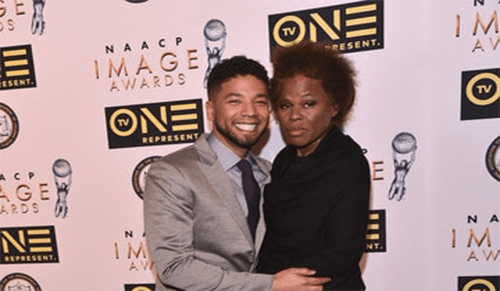 After garnering a host of press attention for a supposed anti-black, anti-gay attack from supposed random supporters of President Trump, involving a noose, Hollywood actor Jussie Smollett looks pretty washed up now that a couple of Nigerians have been implicated by the Chicago cops in the perpetration of a hoax, supposedly to garner sympathy. But another Hollywood guy, a film producer named Tariq Nasheed, who also goes by hip-hop rapper-like names of K-Flex and King Flex, thinks this isnt the end of the story. He smells a political rat. Maxine probably planned this hate crime. 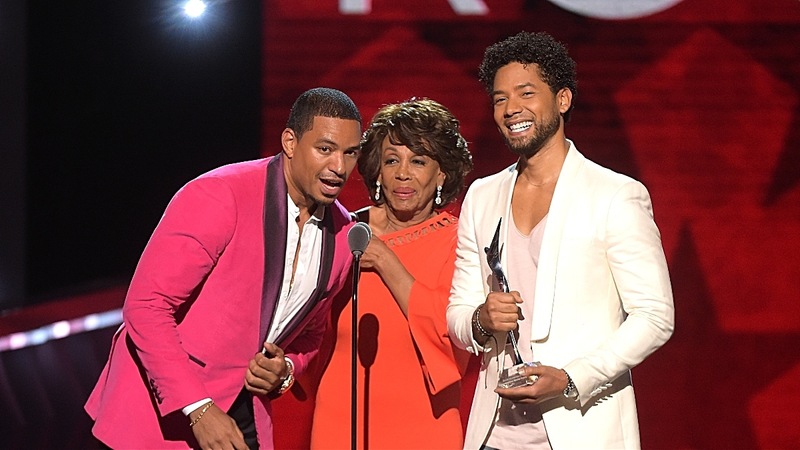 "Maxine Waters: "I know Jussie. I love him. His familys a friend of mine. I know his mom"
Encouraged by Dix, RCP activists helped lead the riots that would leave 58 people dead, more than 2,300 people injured, some 5,300 buildings burned, and $1 billion in property damaged or destroyed. On the ten-year anniversary of the rioting, RCP member Joseph Veale fondly recalled the violence as 'the most beautiful, the most heroic civil action in the history of the United States.'" 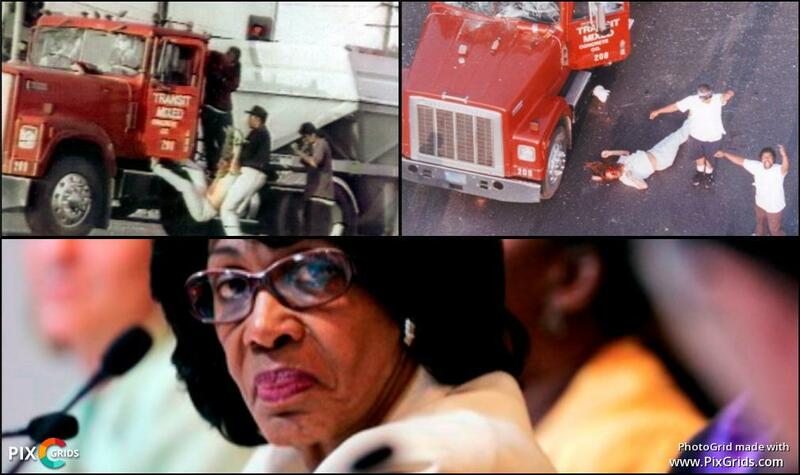 "NEVER FORGET that Maxine Waters embraced Damien Williams, the infamous thug who hurled a chunk of concrete at truck driver Reginald Denny and performed a victory dance over this innocent mans battered body. Maxine Waters even visited Damien Williams mother to offer her support. Williams was sent to prison on a single felony charge of mayhem, but when his accomplices got off, Waters joined in the celebration. Damien Williams was released a few years later and went on to [commit] murder... Also, no surprise, he was a member of the Crips." She also said it was 'a spontaneous reaction to a lot of injustice' and 'The anger in my district is righteous. I'm just as angry as they are'. " I wonder, who pays 10k to 20k to hear her hateful spew? Democratic presidential candidate Kamala Harris appeared to be caught off guard Monday when she was asked about the latest developments in the alleged attack on Empire actor Jussie Smollett. During an appearance at a bookstore in Concord, N.H., a female reporter asked the senator from California if she wanted to amend a tweet from Jan. 29, in which she said Smollett was the victim of an attempted modern day lynching and called the actor one of the kindest, most gentle human beings I know. Harris has also used the Smollett attack to push legislation that would make lynching a federal hate crime. Which tweet? What tweet? Harris asked. As the reporter specified the tweet in question, Harris appeared to look around for a campaign staffer before responding. OK, so, I will say this about that case, she said. I think that the facts are still unfolding, and, um, Im very, um, concerned about obviously, the initial, um, allegation that he made about what might have happened. Isn’t Kamala’s dad also a Marxist? I read as much yestedsay. And its something we should all take seriously whenever anyone, um, alleges that kind of behavior, but there should be an investigation, Harris added. Isnt Kamalas dad also a Marxist? I read as much yestedsay. Don't know. Certainly wouldn't surprise me. "Meet Their Moms- Mrs. Janet Smollett Is The TRUTH!"